Additional users for service access are listed here. 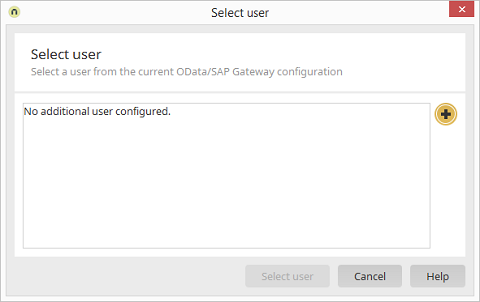 These are needed for certain cases, such as in processes, where the access to the OData service/SAP system must always be made using a specified user, regardless of which user is logged into Intrexx. Opens a dialog where the additional user can be selected.